Original DVDs usually have a safeguard in place to prevent them from getting duplicated. And until now it has worked wonders in ensuring against duplication but what if you want to use a particular portion of the DVD or you wish to extract only a section? With DVDShrink this and more is possible. You might want to convert the DVD to a movie file and watch it on your smartphone or tablet. DVDShrink allows you to basically re-author any original DVD and make it your own. 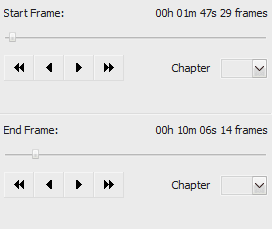 With the Re-Author mode, an original DVD will be unlocked allowing you to not only change its author and other details but also burn the DVD using Nero and such software. 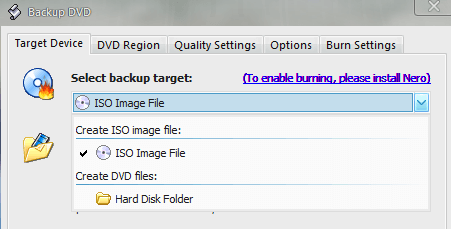 Best of all, you will now be able to backup DVDs as .iso files or store them directly in your Hard drive. A common problem in shrinking the size of a large DVD is loss of quality. This is inevitable and while DVDShrink doesn’t remove this complication it does help retain most of the quality of a DVD movie by using Deep Analysis. This helps maintain a decent quality of any DVD while dramatically reducing the total size of the resulting movie file. Another added feature is its selective backup protocol. Choose which portions of the DVD to create backups for. And once you have selected the appropriate markers, decide on the size of the shrunk version. DVDShrink though works best with regards to removing protection. If you’ve created a original discs with copyright protection, it will prevent redistribution. For the DVD that you own the copyright, this protection can be easily bypassed with a simple click of the button helping you micro-manage the content of the DVD and make changes as appropriate. All these features described above apply to DVD images as well. It isn’t just an actual DVD that can be tinkered with but the image of any disc can be altered to your liking. Note: Don’t do this on any commercial DVDs that are protected by copyright. use this option only on your own DVD for which you have the rights to do so. The interface of DVDShrink allows you to select end and start markers from the entire DVD and preview the same in real time. This ensures that you get only what you require unless of course you want to remove protection from the entire DVD. DVDShrink is an all-in-one original DVD protection removal and copy tool. It works with images and actual discs, helps create new DVDs and opens up countless possibilities. Best of all, the interface is simple and intuitive to use. Did we mention that it is also a freeware?